Today on the Doc On The Run Podcast we’re talking about the importance of Vitamin D, muscle strength and how a runner can listen to the body to help prevent injury. Sinead Haughey: Today we have Dr. Christopher Segler joining us. Dr. Segler, thank you for joining us. Dr. Segler: Sure. Thanks for having me and good to be here to help and provide some useful information for all the members of RunnersConnect. Sinead Haughey: Yeah, I also would like to know in my experience with injuries, a lot of the time like you said it has to do a lot with weaknesses that I have had often in my hips but obviously there’s kind of a domino effect there. Can you talk on that a little bit? Dr. Segler: Yeah, it’s interesting. I don’t think it’s really a new idea but it’s certainly a popular right now like in the last ten years or so. It’s been this whole thing about hamstrings and glutes being sort of weak, it’s like the new core thing. For many many years it was like all runners talk about core strength that runners get really stronger, their legs are strong but they’re only core strength, if you can just use some core strengthening that helps your form so that seems to like become a pretty basic thing. Now when we talk about glute and hamstrings and hip instability, it’s true though. It’s all connected, it’s not debatable right? You don’t just run with your legs, you use all of it and all of it matters. Your posture matters, your arm swing matters, all these things matter which is why run form analysis is really helpful. You can make some very very minor changes in your run form and you have huge gains because you are more efficient. It’s true. I mean I actually did some work on my run form at one point. I have been running for twenty-five years or so into time and I had very consistent marathon times and after doing some run form stuff and working on that for just a few months, it took twenty minutes off my next marathon. Twenty minutes is a lot of time. Even if you run slow, that’s a lot of time and twenty minutes is a huge gain. Again, this is free speed, not hurdle or not more work, not a gazillion squats or something, this is free speed because it’s just technique. Trying to make sure that you’re not missing those things matter, I actually don’t understand exactly why this happens but I know that with triathletes, it’s more common that they seem to get really weak glute and hamstrings. I do mostly Ironmans, like all off season I basically go to the gym and I just hammer my glutes and hamstrings and then they get progressively weaker as I get stronger and faster throughout my season. These things are also very very low hanging fruit so to speak right? Because how much time does it take to do some core exercises and some hamstring strengthening and glute exercises, half an hour maybe, once or twice a week. We are not talking about adding a four hour run or a six hour night ride or something, we’re talking about really small amounts of time to add to get, again, an enormous benefit. RunnersConnect has this training program that can really be helpful because it gives you very specific exercises that you can do anywhere, at home, in your hotel when you’re travelling, whatever. You don’t have to go to the gym and have the same gym that you go to, you can do it anywhere and they’re not complicated exercises, it really does help though. It’s interesting because I was actually in a workshop one time with Mark Allen who’s a World famous Ironman champion and he still does some coaching and stuff but I was actually in this weekend thing with him with some other people and one of his athletes who is a pro and she asked what is the number one exercise you recommend and he had said “well basically if you just stand on a milk crate with two, five pound dumbbells in your hands and pick up one leg and basically just lower down to where you get your dumbbells down below your foot that you’re standing on and stand back up like basically a one leg squat kind of thing”. It was fascinating watching a professional triathlete struggle with this one motion and it’s like, how can she be so fast? How is it that somebody can run a three hour marathon off the bike after riding a hundred twelve miles can barely do a one legged squat with five pounds. But it just speaks that the legs are sort of global weakness and these other areas because we don’t train them. All we care about is the stuff that makes us move in a straight line and those things even though they’re peripheral, they’re the pieces that carry you when you get exhausted. Everybody running a marathon looks great at the beginning. Everybody looks pretty good halfway through. Now last mile or two, people do not look the same. Why is that? It’s because the coordinated muscle groups, they’re all firing in sync when everything’s running correctly. The strong ones, the ones that are coordinated, the ones that you do fire consistently and persistently when you train, they’re the ones that carry you most of the way and in some point they become completely depleted and they’re not really working effectively anymore. So then the peripheral groups, all these other things that can help move you forward are having to fire and they’re not used to working and they’re not good at working. They’re not functional, they’re not coordinated. When that happens, you have a bigger problem, right? You have these uncoordinated things trying to fire and if you haven’t ever trained them because you haven’t done any core work, you haven’t done any hamstring stuff, you haven’t done any glute stuff, you don’t get any real benefit from them and again it’s not like you have to do double duty and double the amount of your workouts. You can add just like the short things to strengthen your glutes, your hamstrings, your core and get some more hip stability so that your form is better. It’s seems like a really simple thing to do and again I always think about in terms of time. Is it really something that’s time effective or not and it seems like it is. Sinead Haughey: Yeah, I know and my running crew, that was kind of a hard pill for me to swallow. I would always much rather just go out for another run than sit down and do twenty minutes of core but it definitely did add up overtime. Dr. Segler: That’s true, that’s just it. We always want to do the things that are fun and it seemed to apply directly. Going for additional run is what we want to do but the other thing I’ll say is that if you can even substitute some runs, you know at some point, if you go run twenty miles on Sunday and if you run on Monday you’re not going to get a lot of benefit from that run, right? If you do some strengthening stuff, it’s definitely better. At one point, I raced motorcycles professionally many many years ago and I would rent the race track, I would do all these stuff. The thing that actually made the biggest difference for me was I started going to a parking garage and doing stairs because our motorcycle to change size of the motorcycle over and over, that was not fun. Doing hundreds of flights of stairs in a parking garage was not fun. It was not like really racing motorcycles and it was not going fast either but those little things that you can do, the strengthening routines that you can get from your coach that can actually be so supportive and so helpful can be the difference between a PR and being five minutes out of your goal time. It really can and it takes so little time to do. Sinead Haughey: I think just clearly into that context, for instance I have very little upper body strength so getting down and doing ten push-ups is kind of a debate in my existence but you put it in the context of this is going to change, your ten minutes is a very easy thing to add to your training. Dr. Segler: Exactly! Yes, that’s just it! I think that one of the keys for injury prevention is for runners to try to find not how they can eliminate runs or how they can buy different shoes or whatever but it’s like, where does this speed come from? Where does the faster recovery come from? It’s really providing better support for everything that makes the huge difference. Doing all of these workouts, all the kind of things that can add core strength and stability and then maintain some hip stability longer. The fact is the longer your form is good, the faster you’re going to go. There’s no way around that. If you have good running form and you get exhausted, you’re not going to get a running form anymore. I don’t care who you are. I have seen lots of lead athletes run and they’re all good in the beginning, at the end they’re all dying and they look like they’re dying because they’re out of gas and if you add in more of these things that can help enhance those peripheral groups and so they can support the others, you can go that much longer with a better form. Sinead Haughey: I think the silver lining for most runners when they tend to fall apart towards the end of the race, you can usually pinpoint where their weaknesses are. When we did an analysis at a RunnersConnect camp for instance, a lot of people would have kind of the arm crossover typical kind of better turning arm movement and obviously that would indicate weakness in their core. Sinead Haughey: Do you agree with that? Dr. Segler: Yeah, definitely! That’s just it, there are all these little things. They’re subtle, they’re very subtle which is why you want somebody to doing run analysis procedure for runners all the time. All I do is think about running biomechanics and injury, that’s all I think about. I think about that all the time I run, I really do. I think about it in the airport, it kind of drives my wife crazy. But that’s all I think about, there are subtle things. I can watch somebody walking and without their shoes on and like within ten steps I can tell if they have a tight Achilles tendon or not. When you watch runners run, it’s different. Walking biomechanics is totally different than running biomechanics and people have been running for a long time, they’ve been coaching athletes for a long time and they really thought about this and they really understand the biomechanics of it, they can tell instantly. Well you have core weakness or you have weak limbs, you have too much instability in your hips that is pelvic tilt that’s not really helping you. There are subtle things but again it’s having an expert do it. Sure you can go watch some Youtube video and try to do it yourself but that’s not the best idea. I could probably watch a Youtube video on how to tune my car but I’ll bet any mechanic could do a better job than I could no matter how many times I watch that Youtube video. I think having a real expert look at you when you need to really assess where are those weaknesses because again, if you know what the weakness is, you can focus on those areas. Work on your limiters. That’s where the real benefit is. Everybody is working on their strengths. People that like to run at a certain distance, they tend to focus on that sort of workout that centers around that distance. When you can identify some limiter that you have, if it’s core weakness, whatever it is and then you can just do the exercises that will really address that most effectively. You can also preserve time and then train more effectively without wasting a whole lot of extra time and exercises you made that you don’t really need to do and don’t need to focus on. Sinead Haughey: Okay, yeah. I think like what you said, it’s important to figure out what those weaknesses are and step out of your comfort zone and addressing them. It usually pays pretty good dividends in the end. So touching on what you’re talking about earlier in terms of how certain nutrients and vitamin deficiencies can lead to injuries. I recently discovered that how important Vitamin D is towards your muscle and bone systems. What are your thoughts on this? Is Vitamin D really crucial to just your bone and muscular systems? Dr. Segler: Yeah, it really is. I mean I think that Vitamin D and how it is associated with bone is not new. We have known that for a long time. When I was in medical school that’s pretty basic thing. It was just sort of the idea that somebody taking Calcium supplements but not getting appropriate absorption because they’re not taking Vitamin D but it’s true for muscle there’s also a similar issue. It’s very complicated but there are lots of published research studies that show that there’s no question about this. In terms of muscle function, muscle size, limiting atrophy, it all has a lot to do with Vitamin D and the consistent use of it sort of as a mediator to facilitate all these hormones that can stimulate growth of the muscles. Obviously that’s what strength is right? You have to have that. Insulin-like growth factor and Mechano growth factor, they’re all essential to muscle health. Again, it’s this very complicated chain of events that happens. It is widely understood and appreciated now that it actually does matter. Us physicians are typically taught to think about is that if somebody has Vitamin D deficiency that means they have a bone problem. They’re going to get a stress fracture and much of the research we know about this comes from kids with Rickets. It’s obvious, right? But then there’s always side of things that came out in a lot of research talking about how the strength in kids with Rickets which started on appropriate Vitamin D supplementation are incorporating appropriately into their systems, their muscle strength improves significantly and that can be measured through biopsy in muscle tissue and see how it changes. It is important and San Francisco is foggy. There is not a lot of light in San Francisco, a lot of the time and a lot of the places. Here, it’s a chronic thing. I know lots of physicians in San Francisco that tell me that most of their patients have Vitamin D deficiencies. This is seasonal too. If you live in Florida or in Arizona, it’s probably not a problem. But if you live in the northeast and its winter or if you live in Seattle or anywhere in the north and there’s light five hours a day, this is a problem and so as an athlete training particularly indoors you can have an issue with Vitamin D and particularly if you’re not taking supplements that are getting incorporate it in your system. There were some studies also that showed them with the athletes that light actually matters. Athletes becomes stronger faster when they train in natural sunlight. That may have something to do with Vitamin D, right? This is a widespread problem and some studies actually reported that there’s been low light epidemic now of Vitamin D deficiency but I think it’s underappreciated in most people because it doesn’t matter that much. Let’s face it, most people in America are not going to get Rickets, so it is not. It happens in economically depressed areas but runners are not going to get Rickets. I know you’re eating a pretty healthy diet and all that but still again, you may not absorb enough of those nutrients that you’ll really functionally stable in terms of Vitamin D intake and metabolism is necessary in terms of hormone regulation that can allow you to use muscle fibers as fast as you need and there are a couple that are known to basically increase the way that your muscle upregulates with some of these hormones. It’s definitely important and it matters that if you always run in the gym. I don’t run in the gym, on the treadmill that much. I did when I go to the gym and particularly if it’s raining or something but other than that I run outside pretty much all the time. Also, I like to run when it’s hot, when it’s sunny most of the time. Not everybody has that luxury. Many people have to get their runs at four in the morning because they have to go to class or they have kids or they have to go to work. They go to the gym and run early in the morning or it’s dark when they’re running in which case you’re not going to get a lot of sunlight. It can be a really big problem but it’s also a thing you should discuss with your coach if you’re concerned about it. If you feel like you’re not making gains as fast your coach would expect to be then you have to figure out why. Just like when an athlete comes in injured, you have to look at everything. I look at their shoes, I look at the wear padding on their shoes, I look at the way they run, I look at everything and there’s some piece that’s off that’s why you have to discuss it with your coach. If you say, “Look I don’t think I’m doing this” and then they find out just based on your story, on your diet and all that kind of stuff that you may have Vitamin D deficiency and they have to do something to try to help you get back on track. It is important to consider for sure. Sinead Haughey: Yes, I have been living and training with this group of runners in the mountains of North Carolina for the past year and we live in this small valley, not a lot of direct sunlight. Coach theorized that one of my teammates got sacral stress fracture and coach was theorizing that it was lack of Vitamin D. There are ways to obviously you can take Vitamin D supplements. Is it better absorbed through liquid Vitamin D? Dr. Segler: That’s a good question. It depends so much on the supplements themselves and that there’s a really broad range. It’s not just form I mean I don’t think, obviously when you get it through IV (Intravenous) are better but who is going to do that. It’s not convenient to get an IV (Intravenous) and certainly if you need daily supplementation that’s not practical. There are lots of different forms and monitoring is actually really important. 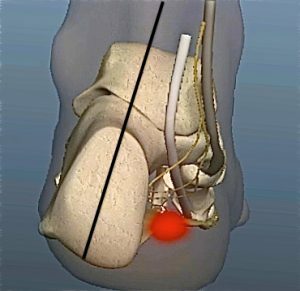 Having a sacral stress fracture is not a good thing. This is also not a common injury. Metatarsal stress fractures are really common, tibial stress fractures are pretty common but sacral stress fractures, not so much. This seems like a serious issue so for somebody who is a runner to get something like that, I think it’s really important that first of all they get nutritional consult and get a real solid way to monitor it. Run it through serial blood work and make sure that the physician’s following them and evaluating their nutritional status and seeing whether or not there’s a real change. You can’t just rely on when the fracture heals and then not come back and that’s the standard approach unfortunately. It is important to find a physician that sort of more progressive that wants to treat athletes, likes to treat athletes and understands the sort of whole nutritional picture that is crucial to athlete’s success. Sinead Haughey: Yeah, I think it is important. Again, when you’re injured like that you have to find the silver lining and that’s usually pinpointing the smoking gun, the reason you’re injured. It takes some preventive action the next time. Dr. Segler: Yeah, obviously an injury is never ever a good thing but if an injury can lead you to this one sort of a deficient area that’s been holding you back then that’s really important. Somebody that gets so much of an injury because of a Vitamin D deficiency, if they get a sacral stress fracture, again this is the bone problem. 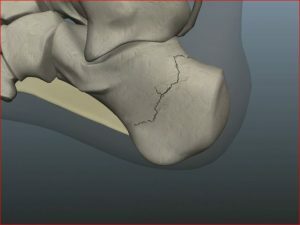 This is the common bone problem that doctors are taught to think about and not the muscle problem. If you actually have severe Vitamin D deficiency, then that same athlete is going to be able to train much better and much more effectively, recover much faster, get muscle strength much faster and then actually perform much better after that injury than before the injury. It’s like you said, it’s a smoking gun trying to find the real core issue, the real thing that’s been the problem and then figure out some way to address this so you cannot only heal that current injury but prevent a future injury and potentially even train faster and recover faster, train better more effectively than you were previously. Sinead Haughey: Yeah, that’s the same with “what doesn’t kill you makes you stronger”. Dr. Segler: In that case it sure could! Sinead Haughey: What do you suggest runners do at the first sign of soreness (particularly when it’s unclear whether the pain is just part of natural wear and tear or if it’s the onset of something more serious)? What do you suggest runners do? Do you have any tips on better listening to one’s body? Is it better to take a step back? Dr. Segler: I’m not a big proponent of just taking time off. I think that’s like the worst strategy. Somebody calls me and think that they’re injured and fussy the day after Ironman, pretty much anything I touch or push on is going to hurt, right? It should! The first thing is to figure out what really is the problem. First part of that is I believe the sort of simplest approach is that when you feel like you’re getting an overtraining injury and most athletes know that they’re getting an overtraining injury. They may not be so dramatic. They don’t get a huge bruise or something like that but they know something’s wrong. What they do wrong is they ignore it because again they’re accumulating damage and you ignore it, it’s going to accelerate to the rate of that damage because you’re running on something that’s injured. In many cases it doesn’t take very long to resolve that if you can identify it and just take some stress off of it. Those are really simple strategies that you can use to take the stress off of it and a whole bunch of them but you have to know what the problem is, right? It is the first step so if you’ve been running like you did like maybe some speed work and then shortly thereafter you have a long run and just because you were traveling for work or you’ve had final exam or whatever and it was really busy. That is a common scenario that people stack their workouts closer together and their coach recommend it because of logistical issues, timing, work responsibilities, life responsibilities. That then means too much stress and they get basically at the beginning of an overtraining injury. But it doesn’t end there, it’s not like you just got a fracture from two runs but it’s heading that direction. 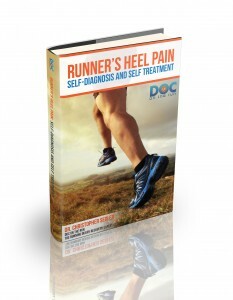 So the first thing is to get rid of the inflammation to be able to identify the real problem and I have a book on Self-Diagnosis and Self-Treatment on Runner’s Heel Pain, I wrote and that’s what most of it is talking about. It’s explaining to people that “look it’s not rocket science, we spend a long time in school but most of it is irrelevant for what runners need to know”. It’s really some pretty basic things. You get this inflammation that causes swelling in the foot and the ankle or whatever and that hurts. If it’s swollen and you push on it, it will hurt because it stretches the cutaneous nerves and it causes pain. The first thing is to get rid of the inflammation so you can figure out what’s wrong with it and when I see a lot of runners if they’ve really just done the injury with a 50K or a hundred-mile trail race or something, everything’s so swollen you cannot discern what structure it is. You push on all the metatarsals and they hurt and they’re all not broken. There’s one of them that’s broken and there’s one of them that has stress response or sort of pre-stress fracture. But until you can isolate that one structure, you have no idea what to do. 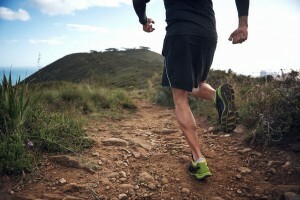 You can’t run and keep your foot off the ground but you can run and keep the pressure off one specific metatarsal bone. You can run and keep the stress off the Plantar fascia. It is possible to do all those things but you have to know what’s wrong. Step one I think is for people to get rid of the swelling and whether that’s doing like the yoga pose, your legs up the wall pose where you’re lying on your back and your feet straight up the wall, I do that after my long runs. It really does get the swelling out pretty quickly. I usually do that with compression socks on that pushes the fluid out even faster after marathons and Ironmans. After a marathon I sleep in compression socks for two days and for three days after an Ironman and it really just pushes out all of that fluid. If you Ice it, if you do contrast bath soaks where you’re alternating hot and cold and you have a swelling in there and you use compression socks and you elevate and you do those things, you can very rapidly get the fluid out. Then when you push on it, one thing it’s going to hurt and when that one thing hurts you know that that’s where the real issue is and then you just have to decide like is it so bad that you really need to see a doctor and check it out or is it one of those things where you can just run a little differently. 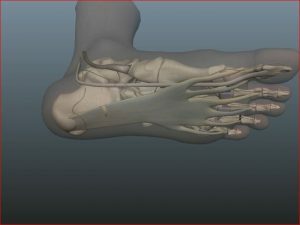 Like if it’s a Plantar fascia, if it’s your right foot, if you think about running on the slope of the road, it’s really simple. If you run facing traffic, your right foot is forcibly pronating on that slope and that stretches out the Plantar fascia and irritates it more. If you run with your back to traffic on the road, you’re on the other side of the slope and it supinates your foot, it shortens the Plantar fascia and it decreases the stress on the Plantar fascia and then you can run and you don’t have any issues and it works. The coach knows this, if you tell your coach what’s wrong they’ll say “well maybe you should do your speed workout on the track but do it in the other direction because it will decrease the stress on that side of the foot if you run backwards on the track instead of doing the normal rotation” and these little strategies are a big thing. If with most patients I look at them and I say “Okay, well this is what’s wrong with you, this is what I think is going to help so let’s try the simplest thing and see if you can still run and if you can’t then we’ll back off a little bit more” but the last thing I will just say is “oh well then you can wear crutches”. That doesn’t make any sense to me because it doesn’t help the athlete achieve their goal. Sinead Haughey: Yeah, I just got over Achilles injury months ago and at first I thought I will just have to run it through because that’s not adding an injury, sometimes you just have to keep training through but I did come to find the hard way that out that the uphill definitely aggravated it so I have to keep things kind of on the flat terrain for the most part of the injury in that one. Dr. Segler: Yeah, running uphill with the Achilles is pretty hard on it. That’s one of the things, most of the doctors say “well, you have an Achilles issue, you have to stop running”, you’re not going to do that. But if you can eliminate the hill repeats, that’s probably the best thing you can do. Eliminating all of your uphill runs is the next best thing that you can do and last thing you want to do is to limiting all the running altogether. You have to be reasonable about it. Again it’s this whole range, I mean I actually have this graph thing where basically activity and stress can discontinue with a time. If you think about this, an athlete gets injured so let’s put him on bed rest. Tell him “rent some movies, buy some books, hangout with your friends, don’t do anything”. Don’t stress and you are going to heal quickly. At the other end of the spectrum, the risk is like continuing to run twenty miles a day and if you do that forever you’re going to get injured. Well somewhere in between of those two is a threshold for injury. Your coach’s job of course is to keep you as close to that line as possible without going over it. That’s when you get the most benefit physiologically where you can build the tissue and get stronger as much as your body is capable. If you go over it, you get injured. 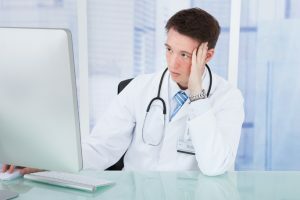 The doctor’s job is not to make you sit on the couch or sit in bed. The doctor’s job is to figure out, sort of the same as your coach, what to do to keep you right under that line. What are the things that we can add in? What are the things that we can remove and move that line for you? Like if you sleep more, the line moves. If you eat better, the line moves. If you eliminate some hill repeats, the line moves again and all you have to do is get that line low enough that you’re going to recover. If you can recover and then you can start to get better and then you can keep pushing the line and increasing your activity. You can continue to maintain all of your fitness and still recover. You don’t have to stop running, that’s not the best routine. It doesn’t make sense to me. Sinead Haughey: I do think like you said at RunnersConnect we have a user that had some sign of soreness. We usually supplement it with some cross training whether it’s getting in the pool jumping on the stationary bike. Sometimes we’ll even give them a few basic exercises just to add in. 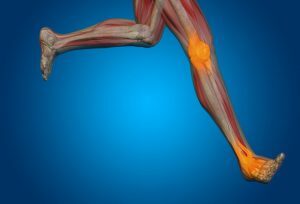 What are some basic exercises runners can do to preemptively strengthen areas that are prone to injury? Dr. Segler: Yeah, that’s a good question. It’s a tough question though because I think that there’s such a broad range and doing planks, pushups, all of the hip strengthening with the one legged squats, all of that stuff, they all help. I don’t have one particular one that I think it’s like the one that most people should do because it depends on the weakness. It depends on what the issue is and again I also think of it terms of simplicity. When people have Plantar fasciitis, there are really a couple of things you have to do if you want to get better quickly. There are dozens if not hundreds of things you could do. But who’s going to do them? That’s just it so I mean I do Ironman triathlons, I don’t swim very much because it’s a very small portion of the race. I spend a lot of time running, I spend a lot of time on the bike when I’m really training. I don’t swim that much because it doesn’t make that too much difference and so it’s the same with these exercises. Like when you get a run form analysis, then you very quickly identify and kind of narrow the range of exercises you specifically need to do. I have actually had two of my running friends tell me that I had too much weight and then I was like “You call me fat?” and like “No, no, your shoulders are too big for a runner” and I’m like “What do you want me to do about that?”. I don’t look like one of these Kenyan guys that can run and there’s nothing I can do about that. If you have little upper body strength, that’s easy to address. Sinead Haughey: Everyone’s got their individual weaknesses so it’s kind of a general question for sure. Dr. Segler: It’s true but it’s a lot like a run form analysis to me. 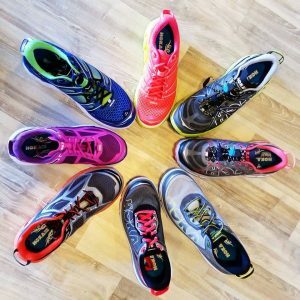 The number one question I get from runners is what running shoes do you run in and basically I never answer them because I’m like “look, I’ll run in the best running shoes in the world for me, I wear four different kinds of shoes actually depending upon on which workout I’m doing”. I don’t even run on the same kind of shoes all the time. It just depends on what I’m doing and it depends for the athletes. So with my foot type I know exactly what I should run in but that’s for foot type and the way that I run. It’s the same thing with strengthening like if you get run form analysis because you don’t really know exactly what it is that you’re doing that’s inefficient and you don’t know what you can change to make it more efficient because you don’t really know the real problem. It’s very difficult to watch yourself run. It’s really difficult and even when you watch the video, it’s pretty simple for somebody who is an expert, somebody at RunnersConnect that do run form analysis and does this all the time. They’ll look at to see subtleties that other people don’t recognize. That’s the reason you want to do that and then from that then you can determine what are the exercises. The fewer things you do, the more likely you are to do them and do them consistently when you’re training. Everything starts to get eliminated. Anything that’s not essential starts to go. The biggest thing that I can suggest is to make sure that people get an analysis for somebody who knows what they’re talking about so that they can determine the real limiters that they have, that they may or may not recognize it so that they can address them and then train more and more effectively. Sinead Haughey: Yeah, I think that’s a great takeaway for those with full time jobs and they go to the gym and stay there for two hours. It’s nice to know exactly what you need to do for your personal routine, what’s going to benefit you most. I think that’s a really great takeaway for our users. I think that does it but do you have anything else you would like to add Dr. Segler? Dr. Segler: I think we have covered a lot. I think we have really covered a lot of material. All of this should be useful for any runner who’s really trying to improve their speed and their enjoyment of running in the process. I really appreciate you having me on the seminar of RunnersConnect. Sinead Haughey: We appreciate you joining us. Thank you so much and I know I have learned a lot, I’m sure the users will too. I really appreciate it Dr. Segler. Sinead Haughey: I really do appreciate you joining us. Thank you so much and if you would be interested in doing this again sometime, we would love to have you back.